Most Singaporeans and friends in the region should be familiar with Star Cruises, the leading cruise line in the Asia-Pacific, wholly owned and run by Genting Hong Kong. From all night casino gaming to burlesque shows, exotic shore excursions to enticing cuisine, Star Cruises offers something for even the most finicky of landlubbers. With all this familiarity, the Blue Lounge, which is a casual dining restaurant on board all Super cruises introduces a revamped menu to keep your mouths watering. Here are some of the front-runners from the all new line-up. 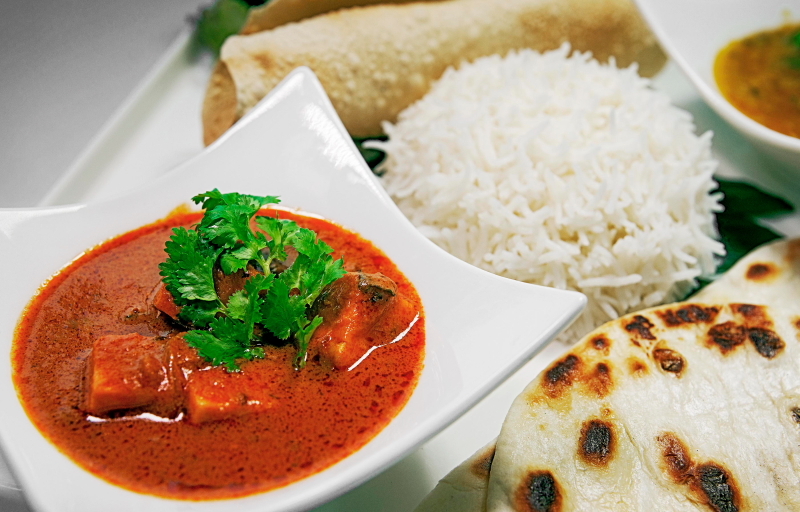 The chicken Makhni set comes with a generously sized naan baked fresh from the galley and a tasty crisp papadum roll. Tender bite-sized chicken chunks brimming with flavour compels me to give this dish an 8/10. Fresh chicken thigh meat is used, which makes for a better texture and satisfying bounce as you bite into the morsels of farm fowl. The thick red curry was lovingly prepared, as evidenced the tantalising aroma and full flavour. Indian dishes are the highlight of the renewed menu. Due to the cooking restrictions outlined in the ship’s safety procedures, certain foods are difficult to prepare. However, Indian cuisine does not seem to turn out worse for wear. 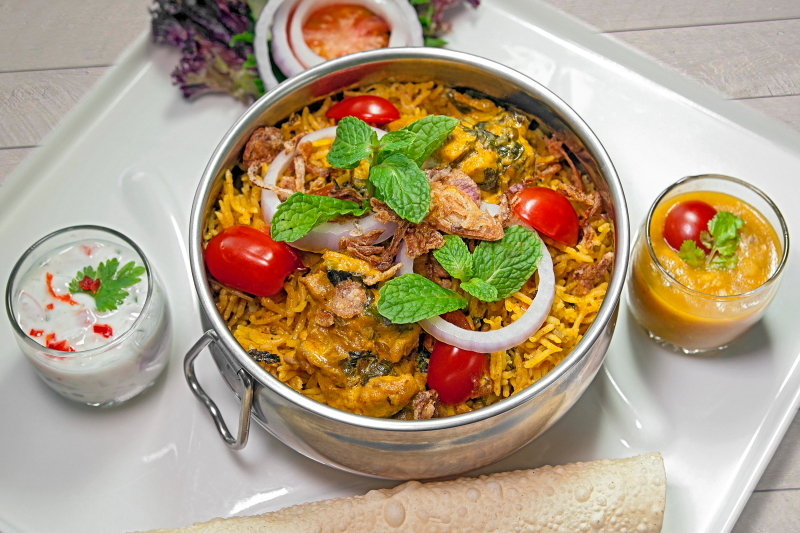 The chicken biryani is again heavenly, with all the inducements of fragrance and flavour. This entrée was accompanied by two varieties of condiments: cool yogurt and sweet chutney. An 8/10 from me. The salt and pepper fried brinjal got me popping and stripped my ability to stop. 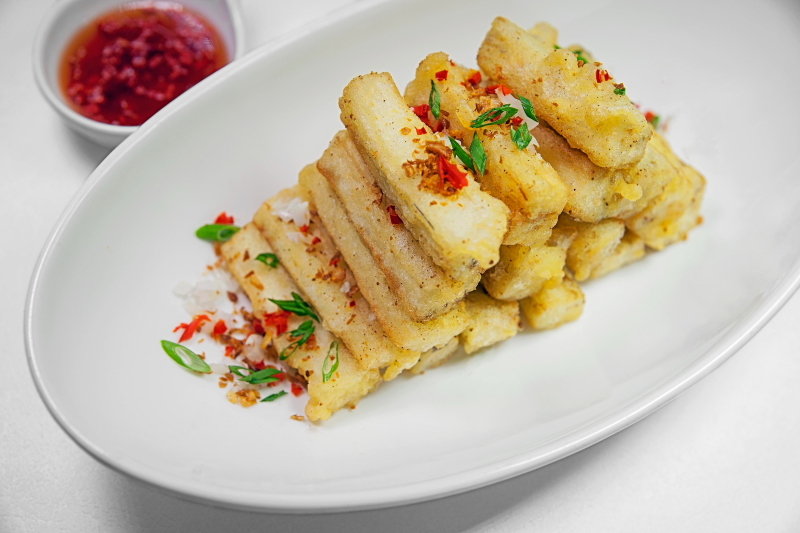 These fingers of enticing eggplant were nicely flash-fried, leaving the insides soft and moist, while the outside remained crisp and crunchy. 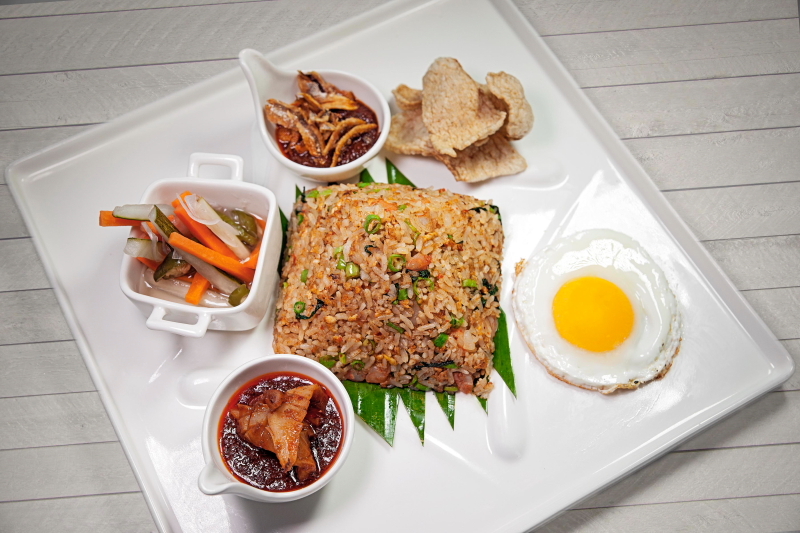 A staple, the kampong fried rice is pretty standard but familiar comfort food. The grains of rice are well prepared and retain its integrity and is not broken or too soft. I liked the texture of full intact grains of rice in my portion. Seasoned well, it packed a mouthful of flavour that might be a little salty to some. Satisfying, savoury and sumptuous, this other niner (9/10) is for the hard worker who wants to fill his or her belly. 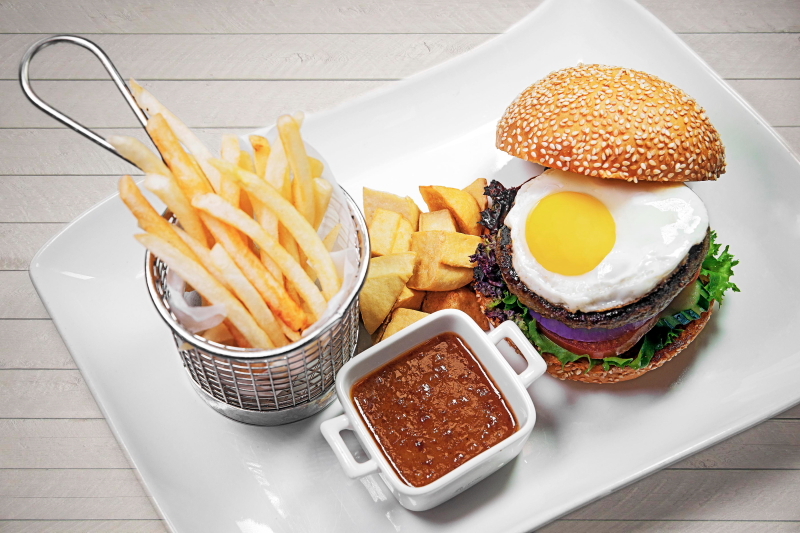 I especially liked the nice touches like runny egg and the garlic toasted bun. I would swim from shore to ship just for a bite of this tasty treat. 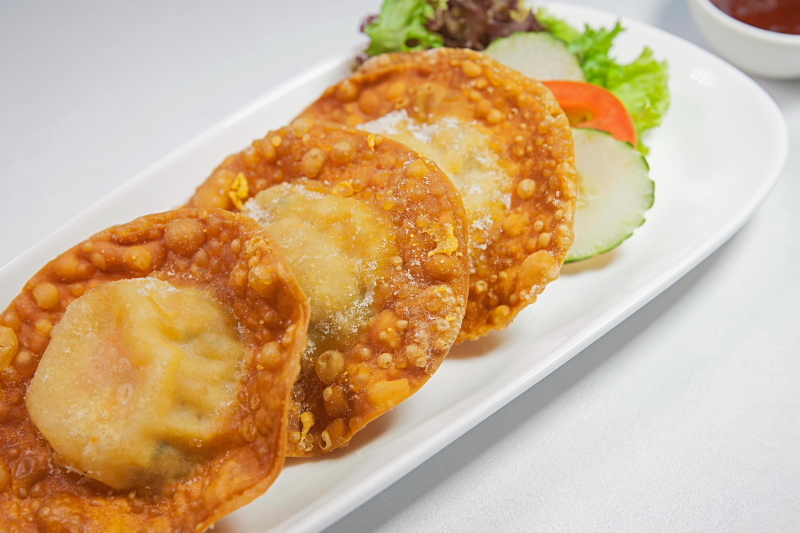 The large fried prawn wonton were impressive in size if not taste. Although the stuffing was more than adequate, the skin was larger still. This leaves a chalky taste of flour in the mouth. I peeled off the edges of the fried wonton skin to get to the large juicy prawns inside which were nice and plump. 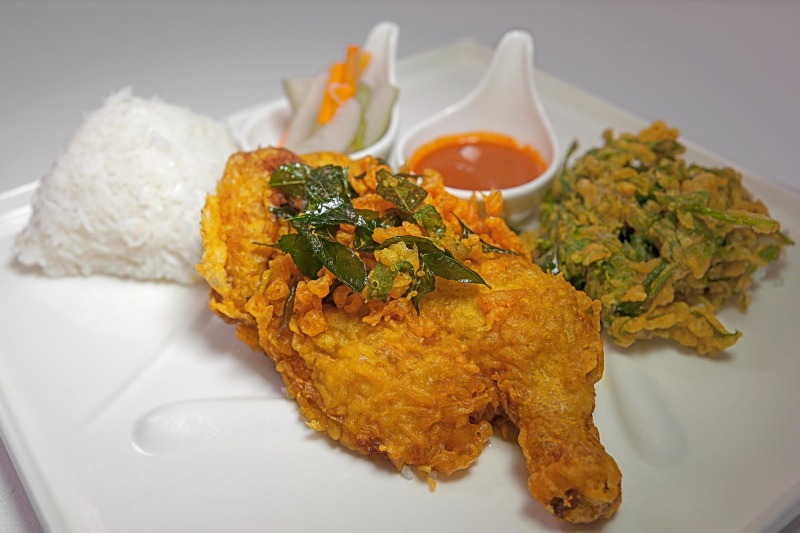 The Ayam Penyet with the impeccably fried chicken leg is a delight. Like the perfect tempura, the insides are moist and full flavour while the batter has a nice dry crunch. 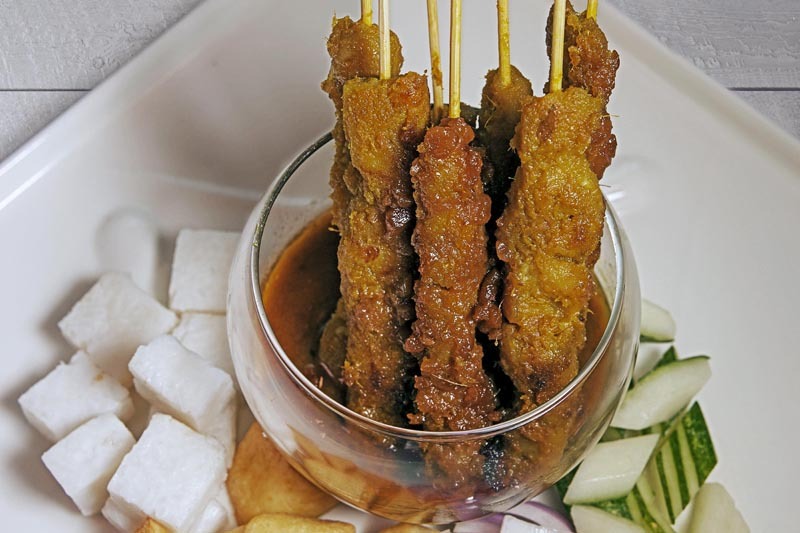 Likely to be inspired by Japanese fried food perfection, the Ayam Penyet and its accompanying fried vegetable cake exhibit a high standard of preparation. 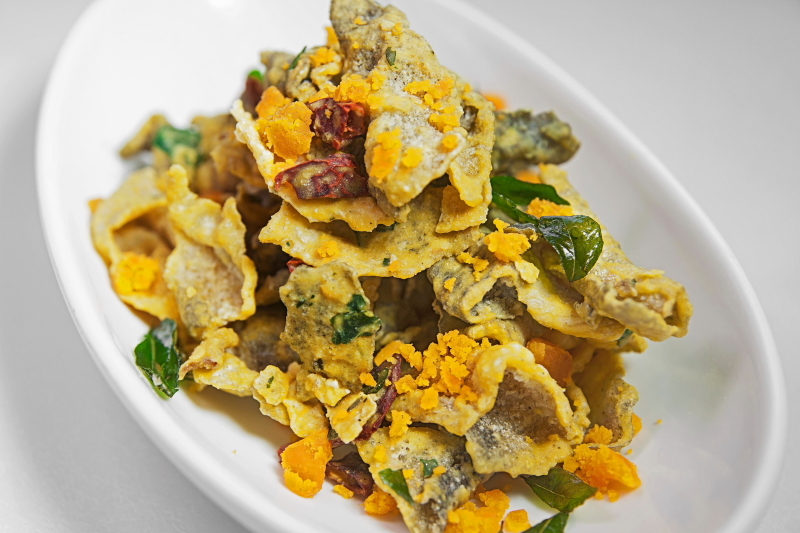 The crispy fish skin with salted egg was an inspired work of culinary creativity. I have never encountered this style of preparation and give it a 9/10 for originality and taste. This dish has gotten the combination of flavours spot on and should be inaugurated into the Blue Lagoon hall of all-time-favourites in no time. With a ban on open fires onboard all ships for safety reasons, I was surprised at how well the chicken satay turned out. I would even say that it even surpassed the offerings at some shore based establishments. COPYRIGHT: All blogs contained herein or attached to this website are the property of the authors and the artist retains the sole copyright and all applicable rights to said blogs. USAGE RIGHTS: Star Cruises be granted usage of the chosen blogs only for display, marketing and promotional purposes and for use on Star Cruises Online website and social media channels.